A: Neither of our doctors are enrolled in managed care plans. However, the majority of our patients use the out-of-network benefits offered by their insurance to cover some of the costs. Our staff will submit claims to your insurance carrier and assist you with reimbursement. Q: Do you participate in Medicare? A: Our doctors bill Medicare patients at Medicare determined rates. As non-par providers, we do collect payment at the time of the appointment and our patients are then reimbursed directly by Medicare. Q: What hospitals are you affiliated with? A: New York Presbyterian Hospital and Weill Cornell Medical Center, and Hospital for Special Surgery. Q: What age range do you treat? A: Late teens to all adults. A: Especially for first appointments, please bring a copy of all your medications, your insurance card, and if you have had any imaging, a copy of your films (Chest Xray, CT scan, or MRI) on a CD. 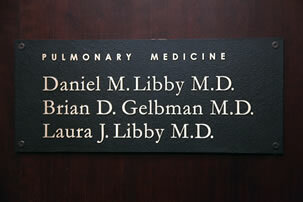 Our doctors can access records from the hospital and local health care providers in most cases. Also, it is always a good idea to write down a list of questions you may have for the doctor about your condition. Please access the Patient Portal before your appointment where most of this information can be entered.